Easy to install & set up. Operates at 390MHz or 315MHz (but not both at the same time). Compatible with all Genie Intellicode and Overhead Door CodeDodger remotes. Not compatible with dip switch style remotes or other brands of remotes. Homelink compatible at either frequency. Not for use on commercial products. Other referenced part numbers 36067R, 110931, 315390R2, RSS/CNR 210. Alleviates frequency issues from the recently implemented Land Mobile Radio (LMR) communication system. The LMR system is used by Military bases across the U.S. and was implemented as part of the nation's Homeland Security efforts. You may be affected if you live within 50 miles of a military base, you own a garage door opener that operates within the 380 to 400 MHZ frequency range, or you encounter sporadic operation from various distances. 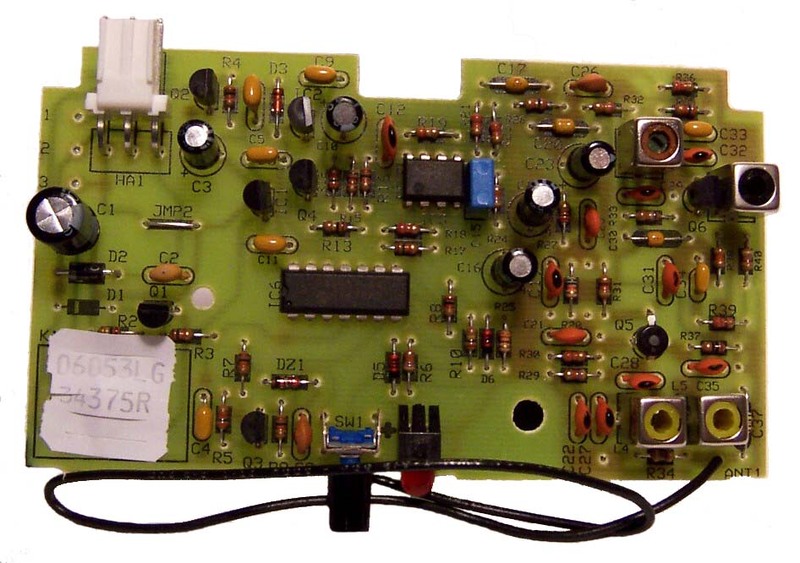 1 dual frequency (390 or 315MHz) Radio Receiver. Remotes are dual frequency (390 or 315MHz) 3-button compact style. Will NOT operate at both frequencies simultaneously. Remotes include a visor clip and keychain for flexible use. Includes Wire, fasteners, and complete installation instructions. Compatible keyless entry is our GK-BX. *Do not install this Radio Receiver unless all safety reversing systems on your garage door opener are working correctly. If your garage door opener was manufactured before 1982 and it does not include current safety features, then it should be replaced with a new garage door opener system. Universal. Works with most garage door opener. *SEE NOTE BELOW. 1 dual frequency (390 or 315MHz) Radio Receiver (will NOT operate at both frequencies simultaneously). Wire, fasteners, and complete installation instructions. Universal. Works most any garage door opener. *SEE NOTE BELOW. Genie Single Channel Gate Receiver. Equipped with 9 Trinary,(0,+,-), Coding Switches. Genie Antenna Assembly for Gate Receiver model 34564R. 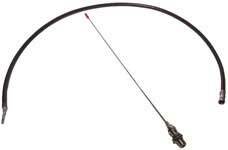 10 inch Whip Antenna with connectors. Genie 24 Volt Transformer for Gate Receiver model 34564R. For receivers with no external 24-Volt power supply. For use with all types of add-on wire-in gate receivers. This 12-switch receiver is the direct replacement for all Genie door openers with an external receivers that have a 390 frequency and 12 switch coding (code block located inside receiver assembly). 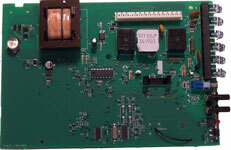 Compatible Garage Door Opener Keyless Entry is the GPWK. This 9-switch 390 frequency receiver is NO LONGER AVAILABLE. 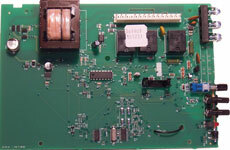 The UT-110, 24 volt transformer is designed to supply power to an external radio receiver. 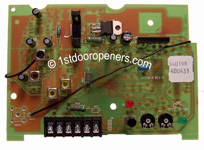 Used on garage door openers which have only two terminals on motor, or on those garage door openers that DO NOT have an external 24 volt power supply. Includes Transformer, Wire and Instructions.